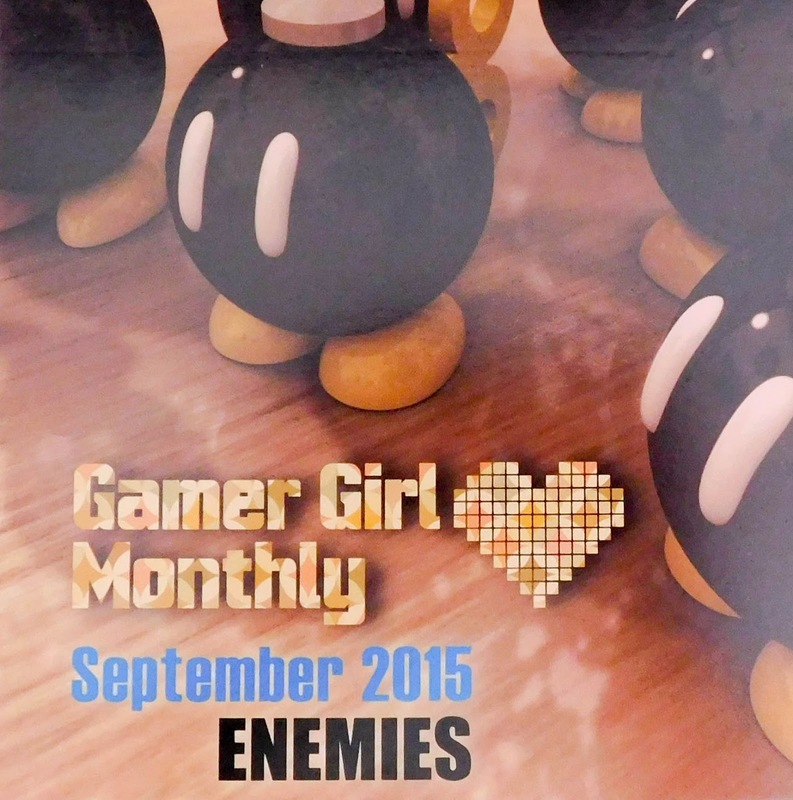 Gamer Girl Monthly - September 2015 + Coupon Code! As you can see, the theme for September is Enemies! They're making their way through the basics of what's in games, which I love. 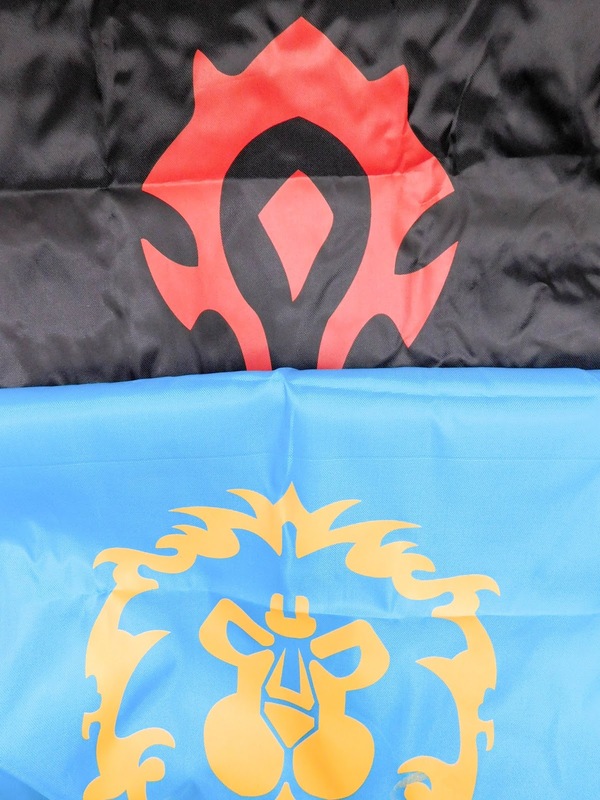 I was especially looking forward to this theme, I'm a fan of the bad guys in games! 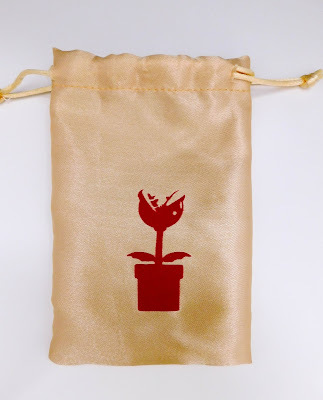 This bag is super adorable. I love that you can just look at the bags and know which month it was for. 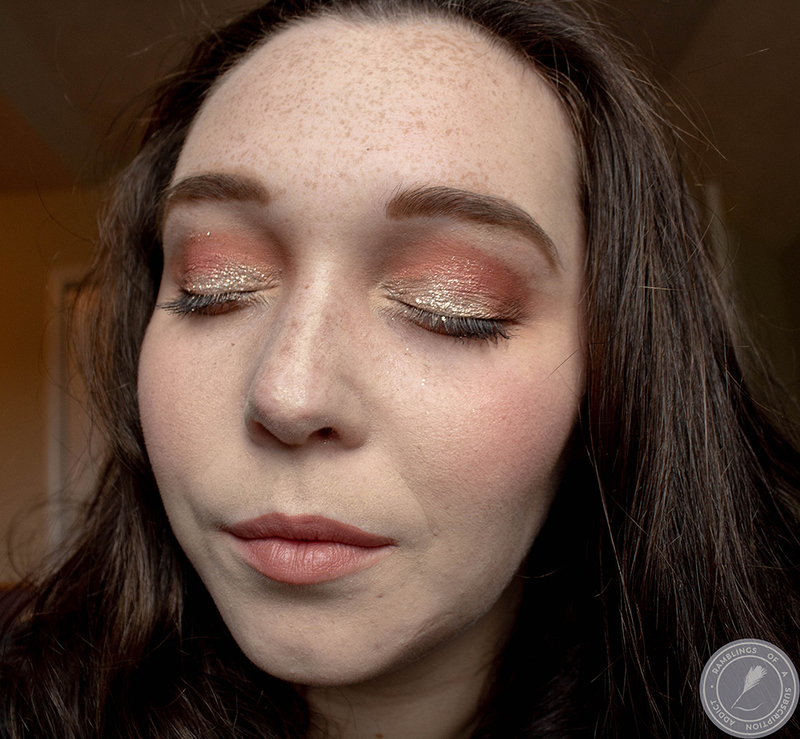 I also love how smooth this one is, like a fancy jewelry bag! 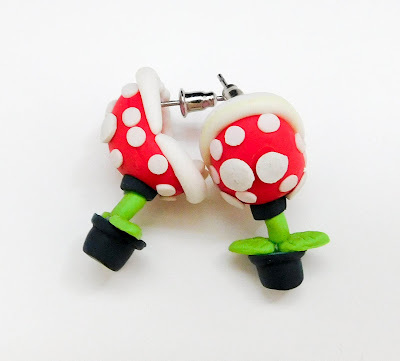 Super Mario Piranha Plant Earrings ($6.99) - These are sooooo adorable. They're the epitome of enemy in Mario, and they are great for a cute nerdy look without it being huge. 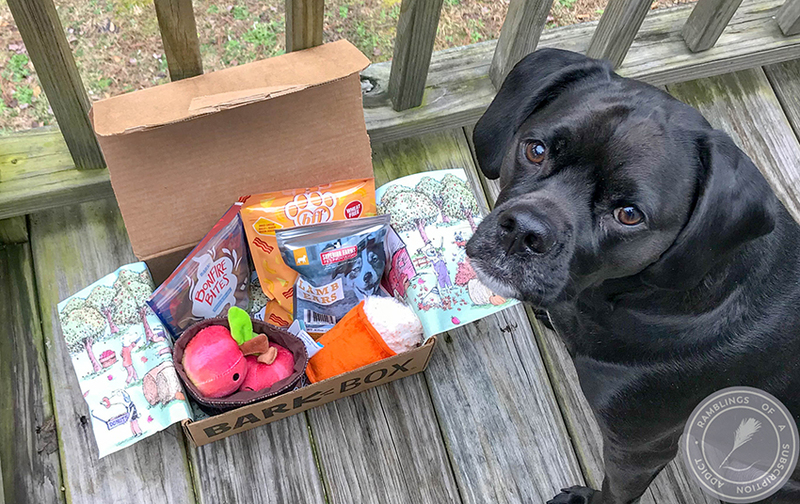 I love almost anything Mario, so this fits in perfectly! 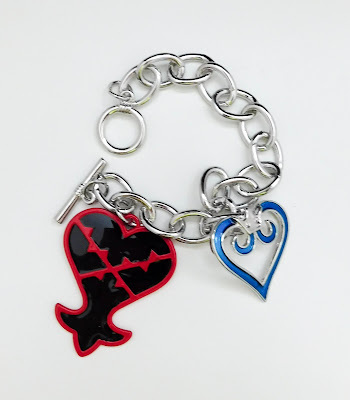 Kingdom Hearts Heartless Bracelet ($9.99) - I could not find anything like this online, which either means I was doing terribly at Googling or there's nothing similar. I haven't played Kingdom Hearts in ages, but this is cute enough for me to wear regardless of that. If you aren't a fan of bracelets, the hearts can come off to make an awesome keychain! 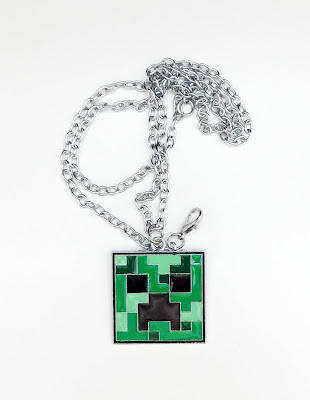 Minecraft Creeper Necklace ($8.99) - This right here is perfect. I'm new at playing Minecraft, but I absolutely love it (and I'm in the process of adding Minecraft things to my office decorations). 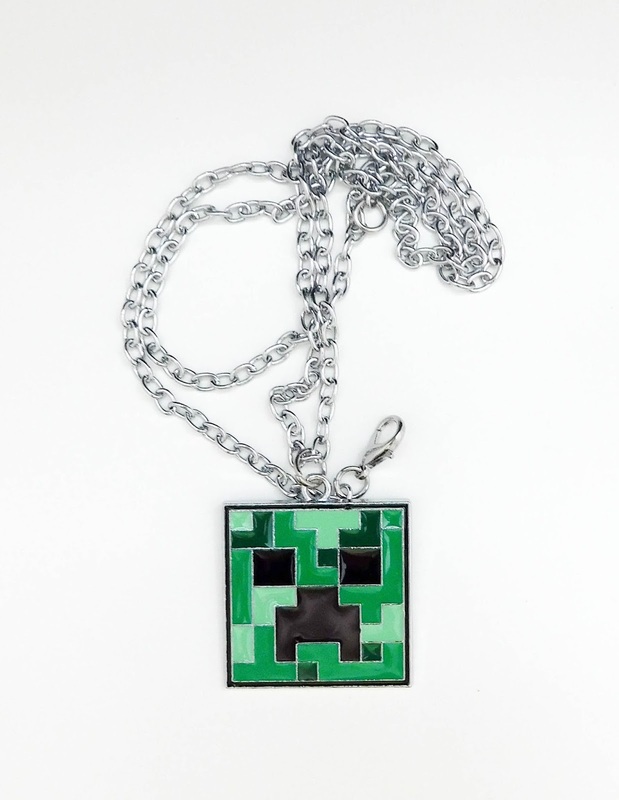 I am not a fan of how long the chain is, but this Creeper Head is perfect for a key chain! 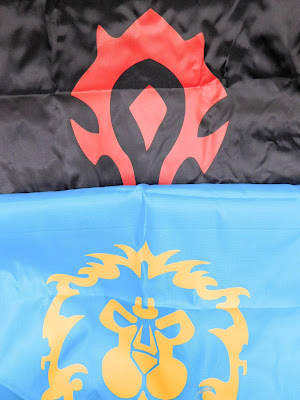 World of Warcraft Horde & Alliance Gym Bags ($4.99/ea) - Yeah, don't play WoW. I know, bad nerd. 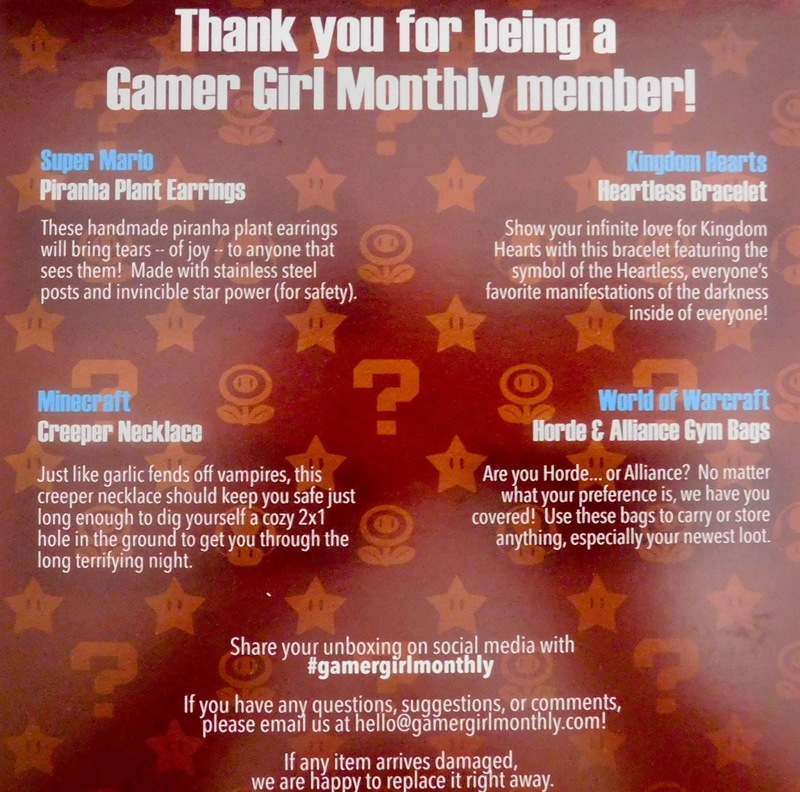 Still, I get the reference and love that they included something for all kinds of gamer girls. The bags are nice and it's nice that they included both, meaning you can store tons of things! 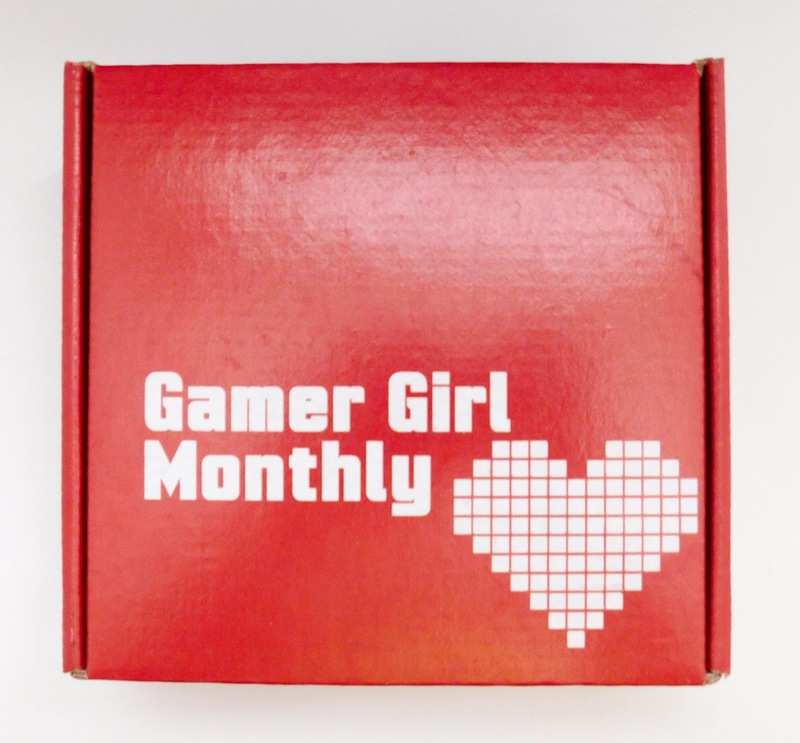 This month's Gamer Girl Monthly was worth an amazing $35.95, and included tons of goodies for all kinds of gamers. 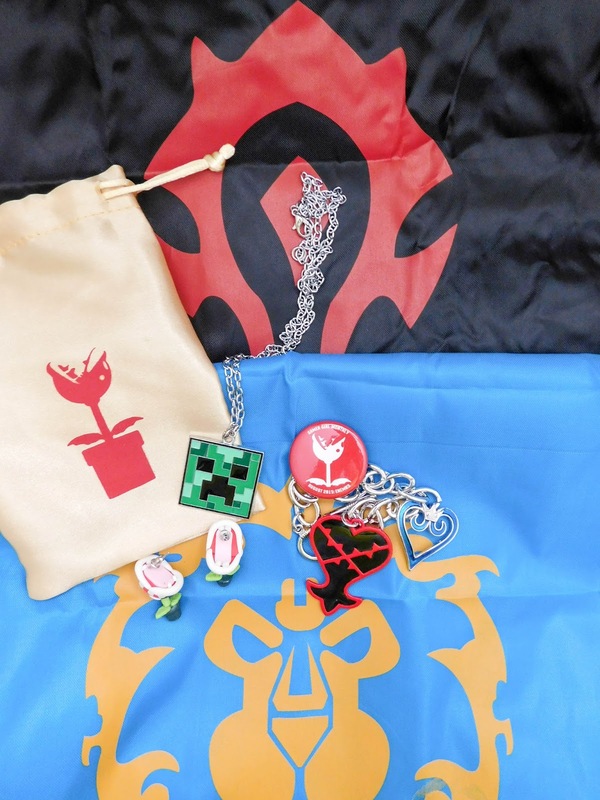 I missed taking a picture of the button separately, but it's in this picture and it has a Piranha Plant on it! The theme for October is Magic, which should prove very interesting, and you have four days from posting to get signed up in time! 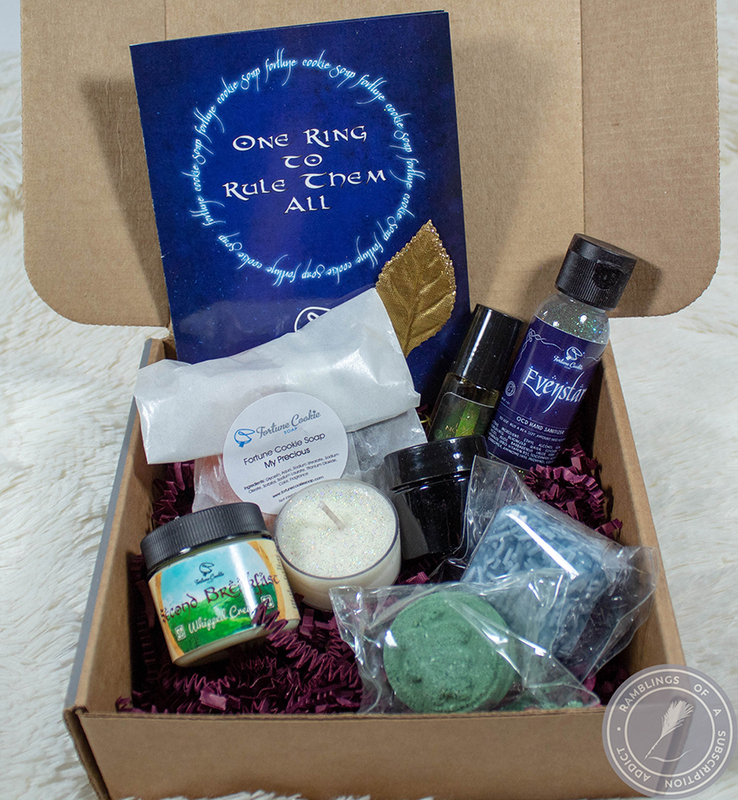 Again, use code RAMBLINGS to get $3 off!